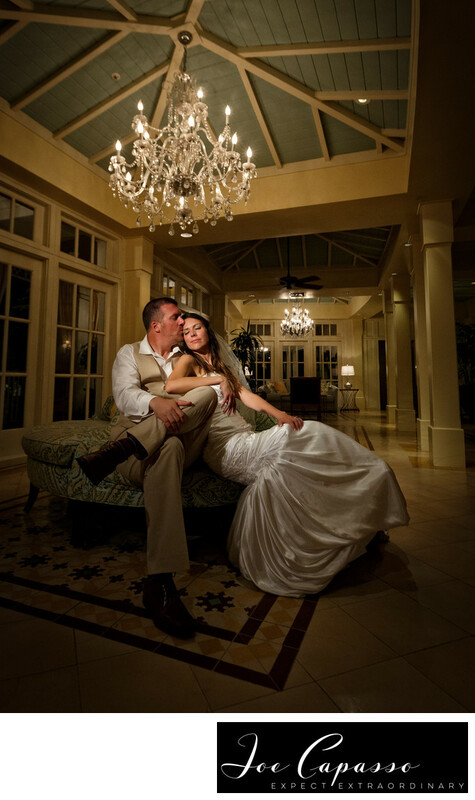 Jen and Trent during their wedding at the Laplaya Beach and Golf Resort in Naples, Florida. During the couple's wedding reception, they wanted to go around Laplaya at night in order to take some dramatic wedding portraits. This particular image was taken in the lobby at LaPlaya Beach and Golf resort. Keywords: laplaya beach and golf resort (24), laplaya beach and golf resort wedding (9), naples wedding (27), naples wedding photographer (45), naples wedding photography (3).